Many musicians say streaming royalties are a waste of time. Here’s what I think – streaming has the potential to be a good passive source of income. And, if you know anything about passive income, you know that it takes time to build. Even as you’re busy playing shows and marketing your music, you could be getting streamed. So, engaging in other activities can be a great way to cross-promote your catalog on sites like Spotify. But let’s say you’re taking this streaming business a little more seriously. 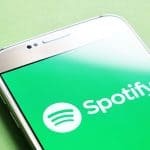 You want to do more than just announce to your fans that they can stream your music on Spotify. You want to make a bit of money. 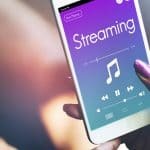 So, what could you do to boost your income from streaming? Read on. I’ve shared extensively on this topic in another Spotify guide. 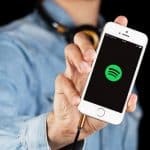 There are essentially three types of playlists on Spotify: major label playlists, Spotify playlists and independent playlists. Make it your goal to get on independent playlists first and gain some traction before trying to get on more popular playlists. A big catalog isn’t everything. But all things being equal, it’s better to have more music released. Every new song, EP or album you release is a new opportunity. In terms of your catalog, don’t put all your eggs in one basket. Explore and experiment. Spotify is a good music discovery platform, and you just never know who might come across your music, especially as you publish more. Some playlist curators won’t even look your way if you don’t have a website, if your social following isn’t a certain size, if they can’t find any reviews on you and so on. If your following is small, consider putting some money into paid advertising. Even just $20 to $40 month can help you reach a lot of people. Claim your artist profile. This will give you access to analytics you can use to better understand your listening audience. Doing this will also allow you to get notified when your music has been featured in a playlist. Get your family, friends and fans to follow you on Spotify and add your music to their personal playlists. These are the people that care most about your music and are more likely to boost your play count and listen duration – something curators will be looking at when determining whether your track is right for their playlist. 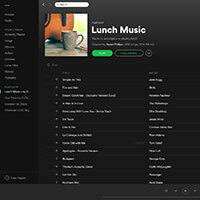 Start making your own playlists and put them on high rotation at your office or home computer. Get your friends, family and fans to do the same. Try talking to local businesses and see whether they have go-to playlists. If they don’t, then see if you could set one up for them. Let them know you’ll be including a bit of your own music. 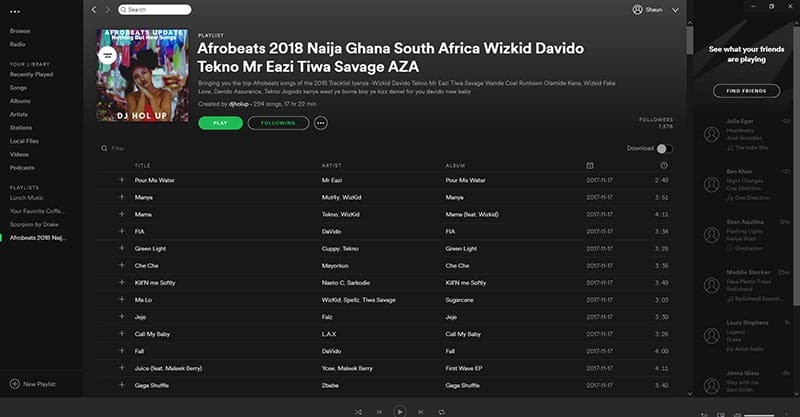 You could also collaborate with local artists and make a playlist together. Find blogs that review your style of music and get it reviewed. 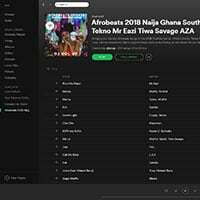 This can help you build your online presence, expose your music to more potential fans and increase your chances of getting added to playlists. Do your research. 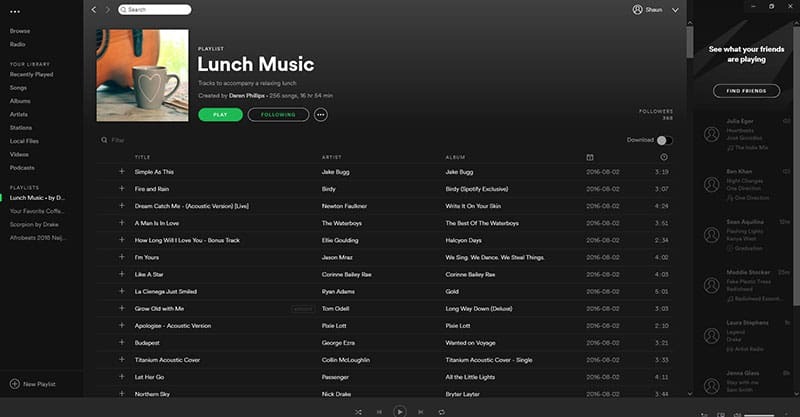 Find playlists where your music would belong. Then, pitch to curators. Build a real relationship with curators and don’t be a pest. These people get lots of emails already. Companies like Playlist Pump and Playlist Push can help you get your music on playlists for a fee. Experiment and see what works. Every service is a little different in terms of the price they charge as well as the results they offer. The curator clearly wants more listens and followers so be willing to help them out. Quid pro quo. Now, here are some tactics I haven’t spent a lot of time talking about elsewhere. Use these to boost your plays on Spotify. 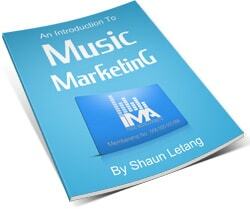 As Liam pointed out in another guide, SubmitHub is a rising star in the music advertising space. It gives you the opportunity to get in touch with bloggers, record labels and of course Spotify playlisters. They will also give you data and feedback on your songs, so you can figure out exactly who you should be pitching your music to. As you look to make money on Spotify, I would suggest that it’s better to have more tools in your toolbox than fewer. And, if something doesn’t work, you can discard it and try something else at any time. So, SubmitHub is a tool worth exploring. I use the free version of Spotify almost daily. So, I constantly hear ads. Now, I find that a lot of the ads don’t apply to me – I’m not interested in most new pop music releases and Jimmy The Greek is so new in Calgary that I didn’t even know we had locations until recently. I never do. I don’t click on any of the ads. But I assume others must. I don’t think I would keep hearing ads like that if it wasn’t working. So, if you’re serious about getting more plays on Spotify, you might want to invest in some ads as well. If you’ve been halfhearted about growing your email list to this point, then it’s time to get serious. Social media is great, but email is far more effective. The stats confirm this. Times are changing fast, so you can also experiment with messenger apps, SMS/texts and even print mail if you so desire. Anything personalized is going to have a higher rate of success than just posting to social media. But I would still contend that your email list is critical to your success. You should begin gathering email addresses at every show you play and on your website. Every new email address is another person you have the permission to market to – meaning you can tell them to follow you on Spotify and stream your latest release. Naturally, the more emails you have, the better, so get aggressive with collecting as many emails as you can (while abiding by applicable laws, such as CASL and GDPR). These days, whenever an entrepreneur launches a new book, they tend to appear on a lot of podcasts. There’s a bit of a “podcast tour” if you will. This is a similar idea to a radio tour, which is something some artists still do to this day, and it can be effective. A podcast tour is similar in concept, except that you can generally do it all from the comfort of your own home. The most challenging part is in figuring out which podcasts you would work well on. In most cases, that’s going to be a podcast that a) plays your style of music, b) regularly interviews musicians, or c) a combination of both. I’ve already talked about getting featured on blogs, but that is another important avenue to pursue. Also think in terms of blog features and interviews, YouTube video appearances, magazines, newsletters and newspapers, and any other medium that would give you the opportunity to get in front of a new audience. As much as possible, leverage other people’s audiences and platforms. Building from scratch can take a lot of time, and while I’m not against you starting your own blog, podcast, YouTube channel or otherwise (I actually recommend it), initially you should focus on getting onto other people’s platforms. 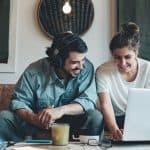 Use these opportunities to share about your music on Spotify. Media people, interviewers, reviewers and video personalities are generally comfortable plugging something of yours, especially if you give them a good interview or add value to them in another way. We all know how much time people spend on their smartphones these days. Now, I don’t recommend building your app from scratch, as that could be time intensive and/or costly. And, when the development process is finally done, it doesn’t automatically mean you have a great app people will like. There are free app builders available, and there are also some solid premium options like EVO Band Apps. The great things about apps is that unless the user has turned off notifications, they will receive updates when you post something new. This is great, because it can help you stay top of mind with your audience. And, again, use the app to direct people to your latest releases on Spotify and encourage your fans to follow you. Some people will tell you that business cards, posters, flyers and other print materials simply don’t work. Well, here’s the thing – it depends how you use them. As musicians, we’re used to using these items to send people to our website, buy our music, come to our shows and so on. Let’s be honest – we just leave it open-ended most of the time. If they take any action when we hand them something, we’re happy. But what if we were to think in terms of traditional advertising instead, where the goal was always to get the customer to take one action. It could be making a phone call, sending an email, going to a specific URL or otherwise. If you’re wanting to get more streams, then get people to go to a specific URL to stream your music on Spotify. When doing this, it can be helpful to use a link shortening service like Bitly, or a link customizer like Pretty Link (if you’re using WordPress). People can’t be bothered to enter a lot of characters into their browser, so make it easy on them. Start handing out cards, flyers and other print materials at your shows. See what kind of response you get. I’ve tried to make the marketing ideas in this guide as relevant as possible. But this isn’t to suggest there aren’t other ways of promoting your works. Social media. I’ve talked briefly about the importance of social media. Keep in mind that there are many networks out there for you to try and experiment with. There are hundreds if not thousands! Advertising. I’ve talked a bit about SubmitHub and Spotify ads, but you can also check out newspaper, newsletter and magazine ads, Google ads, Facebook ads, Twitter ads and so much more. Merch. Your merchandise could be a marketing tool all its own. For instance, you could have a shortened URL, just like you would on your print materials, which leads your fans to stream your music on Spotify. Website. You could place a Spotify icon in the sidebar, header or footer of your website. You could add a call to action at the end of every blog post, prompting your fans to stream your music. Use your imagination. If you want to make money on Spotify, then just stick with the process. You may not see any immediate results from your effort. It may take a long time for your work to bear fruit. Don’t get frustrated. If you have enough time to worry about the results, it probably means you aren’t making enough music. So, get back to your home studio and start making more demos. Also, organize your schedule well. Make time for your art and your promotional efforts. You must juggle and balance the two to the best of your ability.